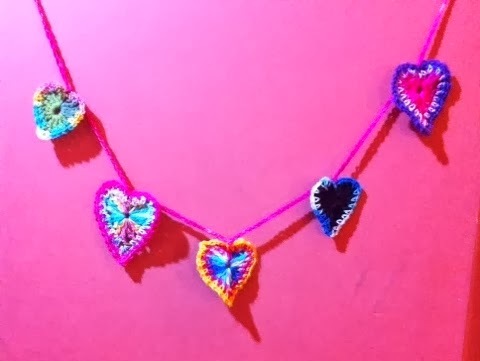 These quick little hearts are Boho Hearts by Sandra Paul. I used left over bits of sock yarn. (which, by the way is amazing stuff... you never ever run out of it). You still have time to make some! !